Evaluating any movie is a matter of personal taste. Filmmakers who deal in the bizarre naturally provoke bizarre reactions. That’s my way of saying that I wasn’t impressed with “This Must Be The Place”, the latest movie from director Paolo Sorentino. This is not to say that the movie doesn’t have so many good attributes, because it does. 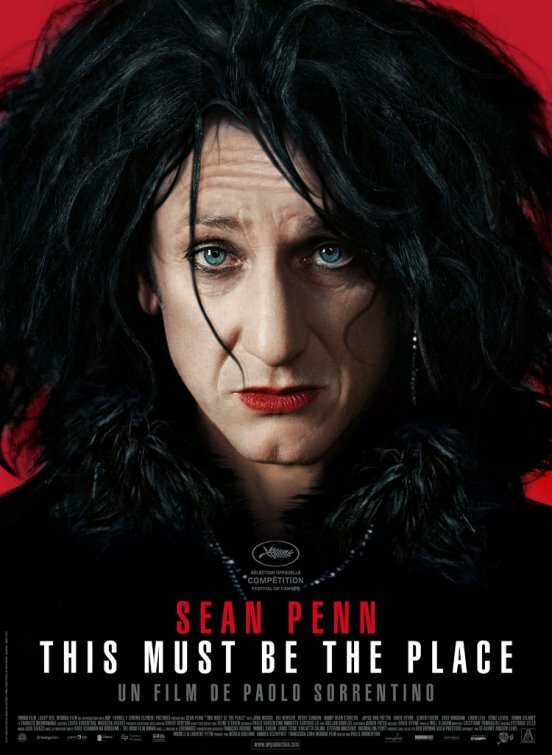 Sean Penn, looking like a cross between The Cure’s Robert Smith and Edward Scissorhands delivers his most bizarre performance yet. That’s not necessarily a bad thing. He’s a Bored, retired rock star called Cheyenne, who is married to Irish fight fighter Jane (the great Frances McDormand) and lives a quiet life in Dublin. When he receives a phone call that his Jewish father is ill, Cheyenne sets out to find his father’s executioner, an ex-Nazi war criminal who is a refugee in the US. Cheyenne is the kind of character you will either love or hate. There is no middle ground. But apart from Penn’s performance, I really don’t know what to make of this curious movie. If one is to judge a film by how well it fulfills its intentions, then “This Must be the Place” is a success. It stands out from the crowd by dint of sheer audaciousness, and originality. On an intellectual basis, I thought it was almost ridiculous; on an emotional level, I found it a complete turn off, at least when Penn wasn’t on-screen. As “This Must Be The Place” has all the makings of an unusual film, Sorentino’s fans will be particularly responsive to it. But as much as I admire Sean Penn’s enormous skills, the movie is too impersonal to leave a mark. i sort of agree…i personnaly didn’t really feel any connection witht the character…it’s like those -i’m doin it so i can get a nomination- performances. I love Sean Penn, but like I said, the movie is too impersonal to leave a mark. Wicked performance though. Not to mention his boyish voice.